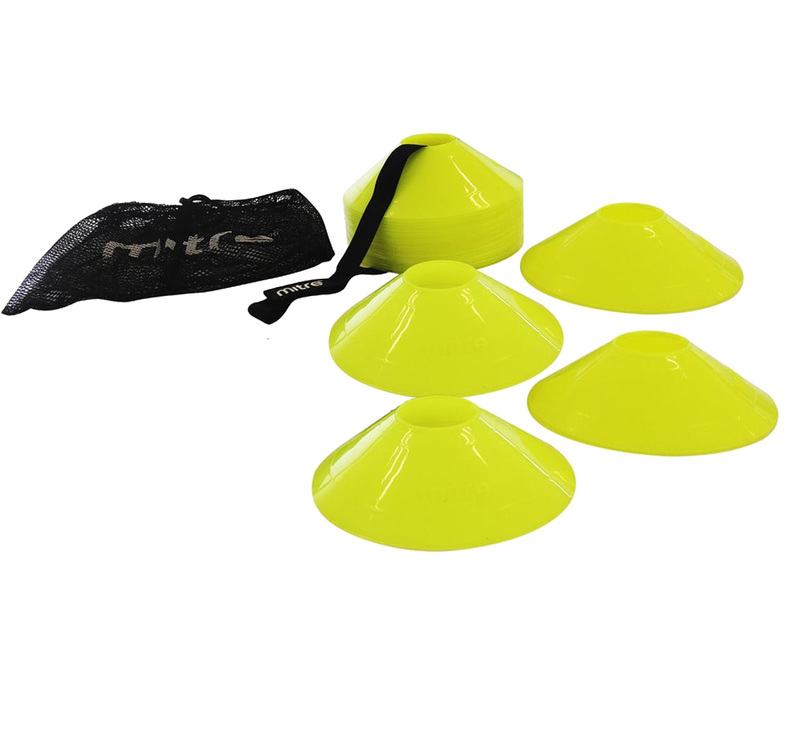 Not everyone needs a set of 50 pitch marking cones so Mitre have introduced a handy 30 cone pack for use in small sided training drills. The cones come as a pack of 30 in a handy mesh carry bag. The cones measure 19cm in diameter and stand 5cm tall.